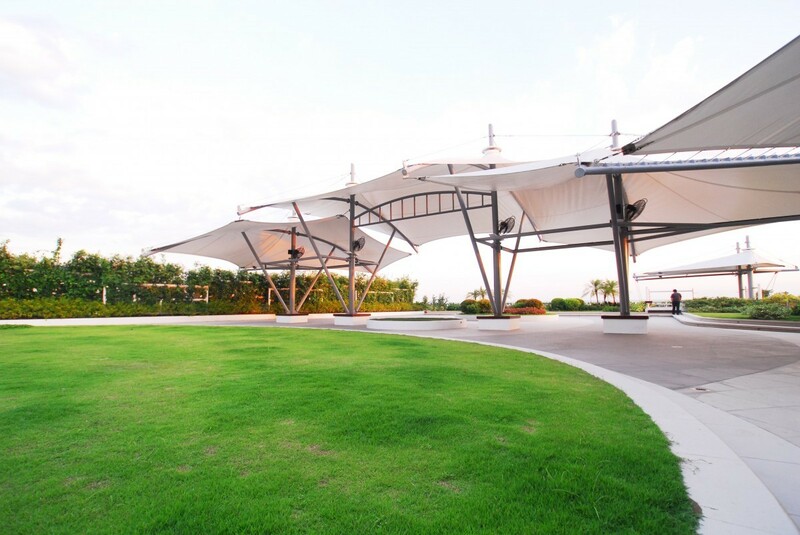 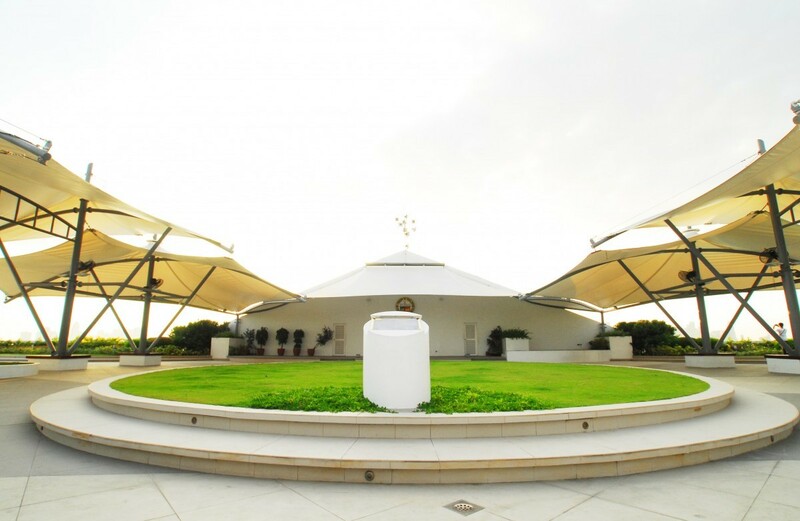 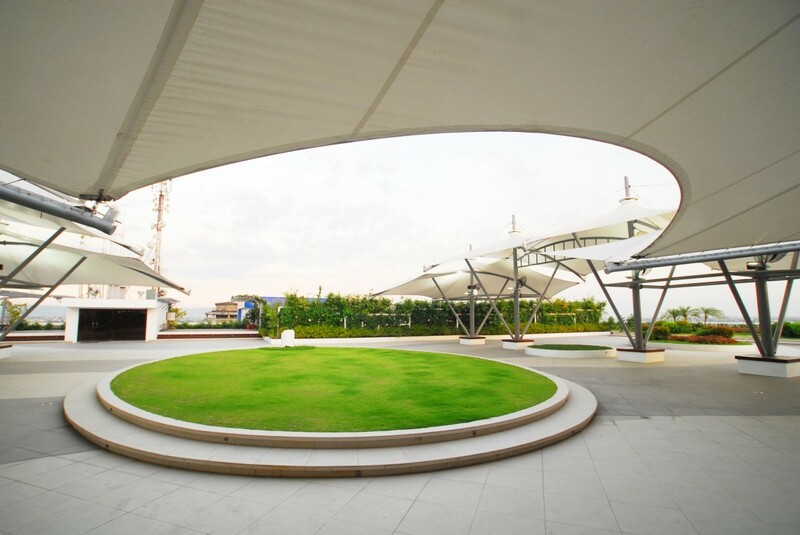 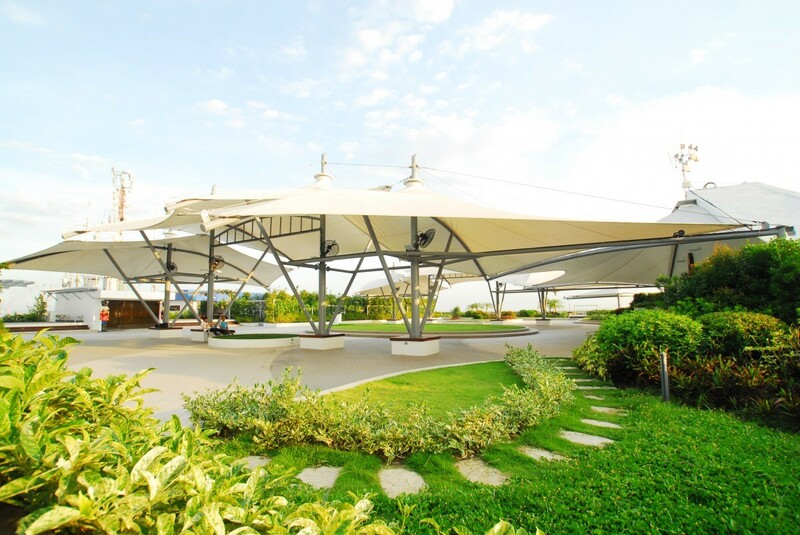 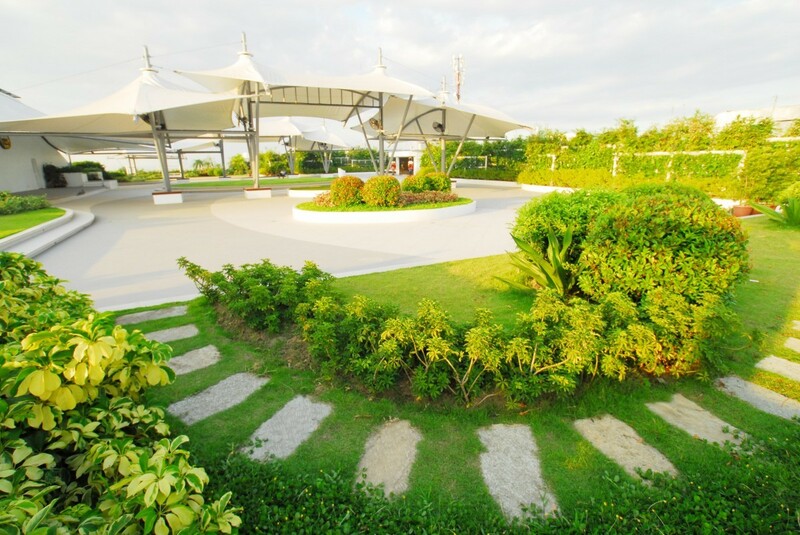 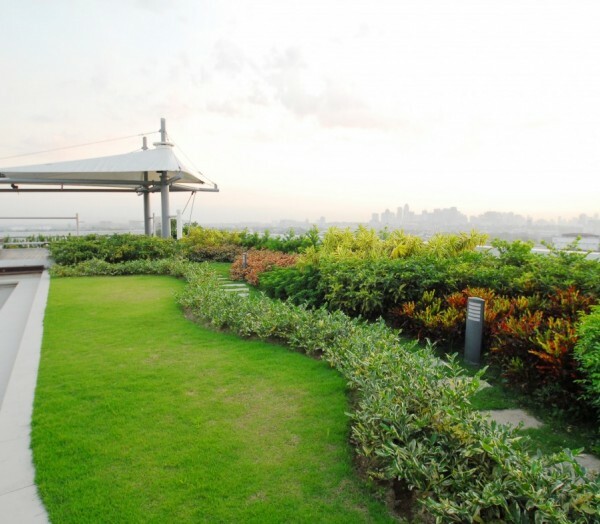 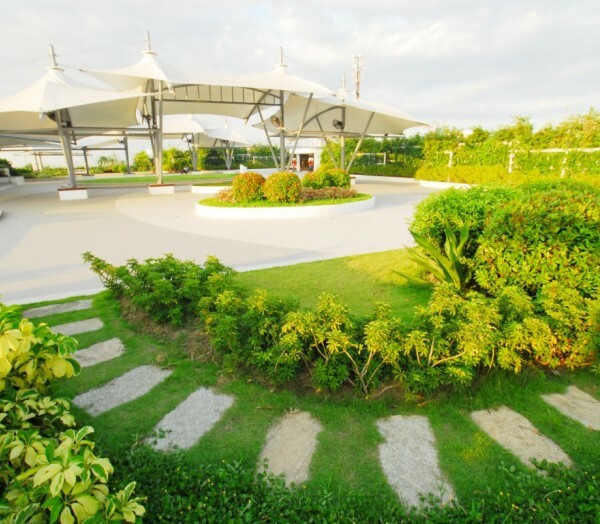 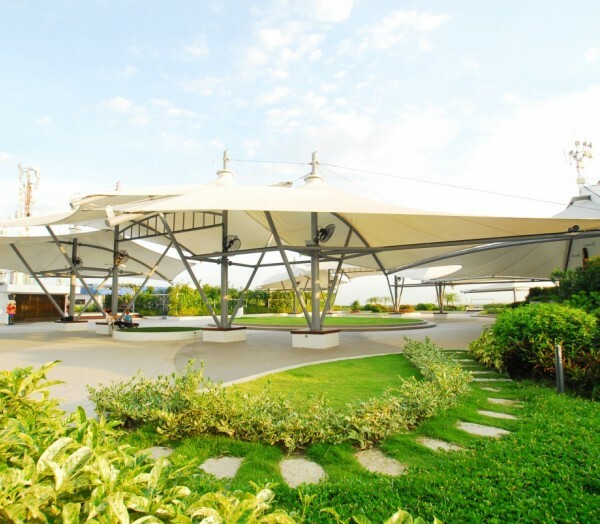 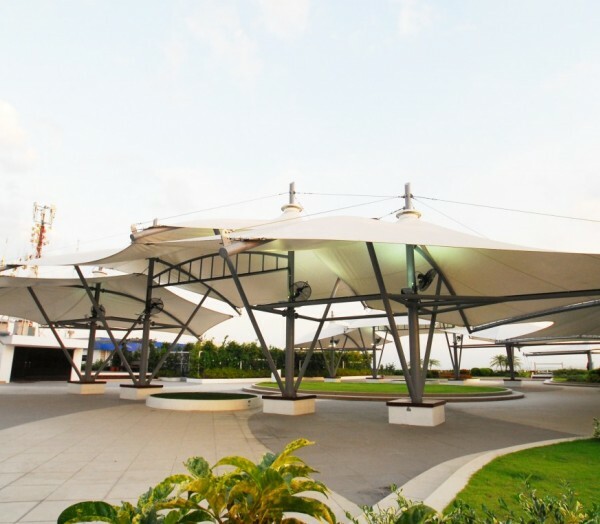 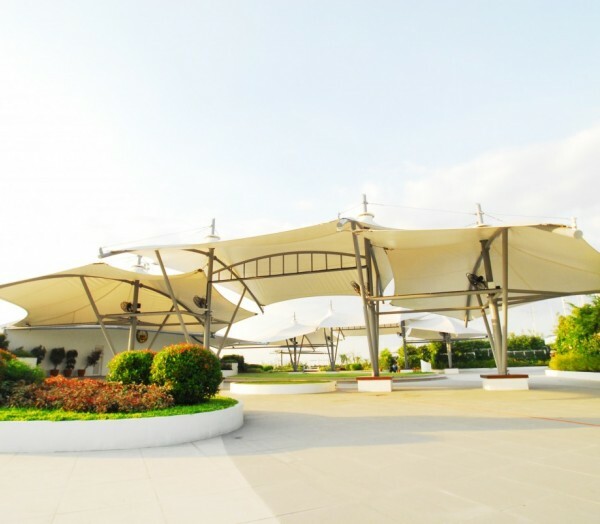 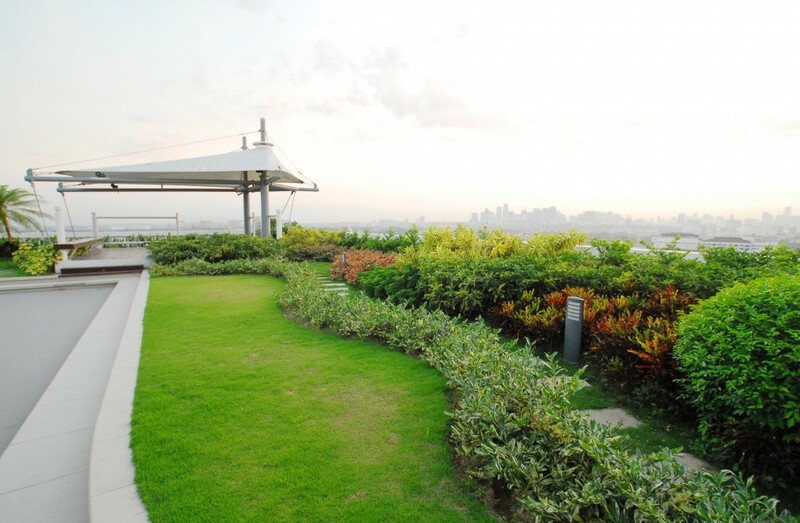 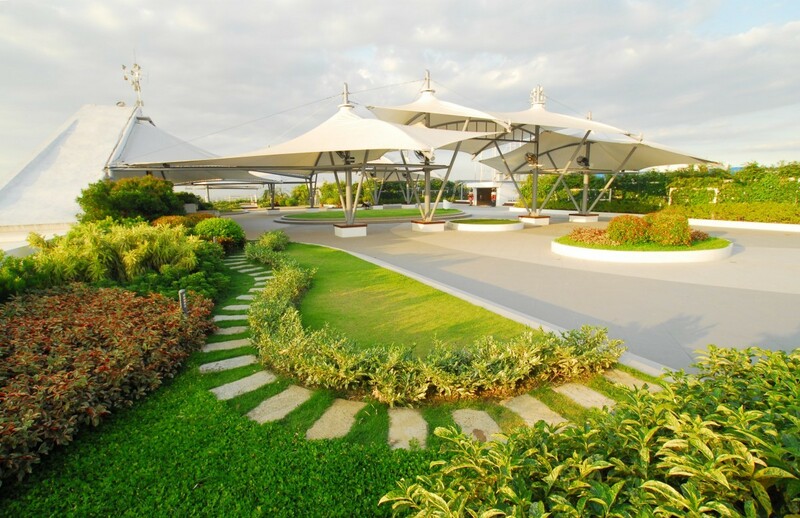 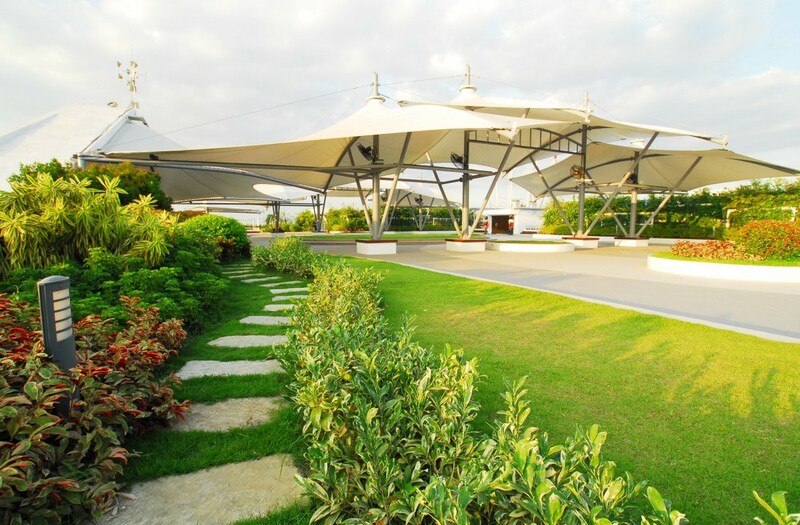 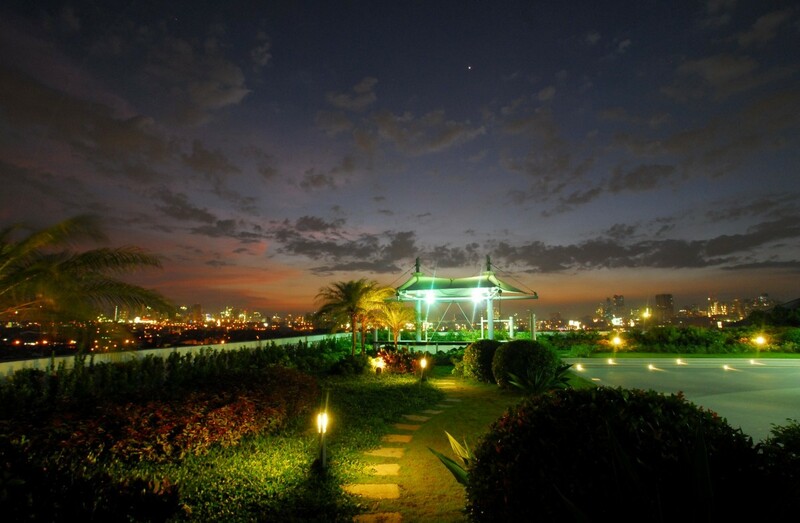 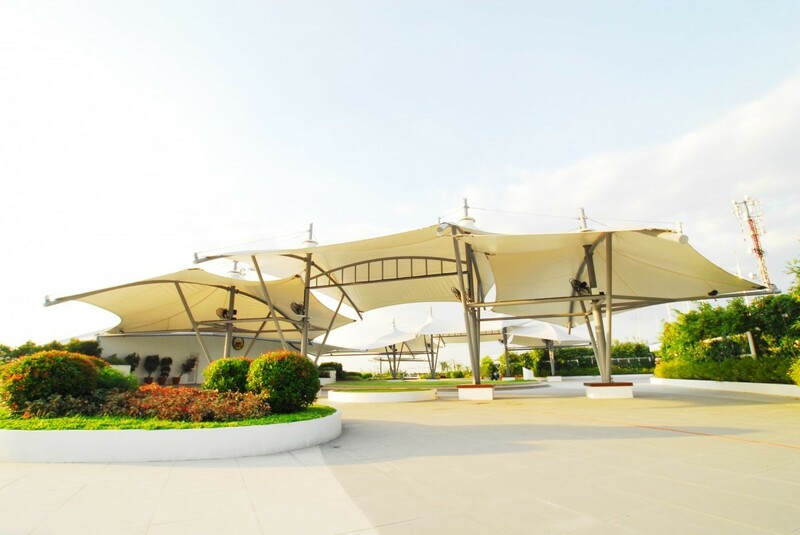 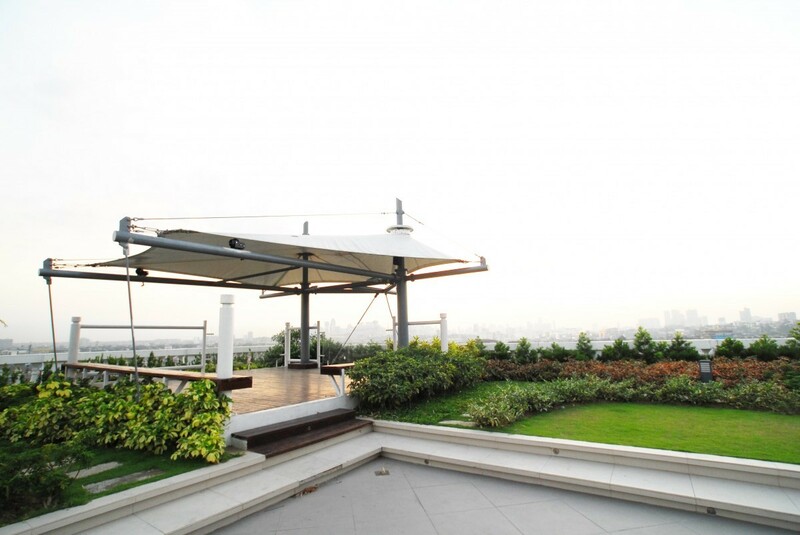 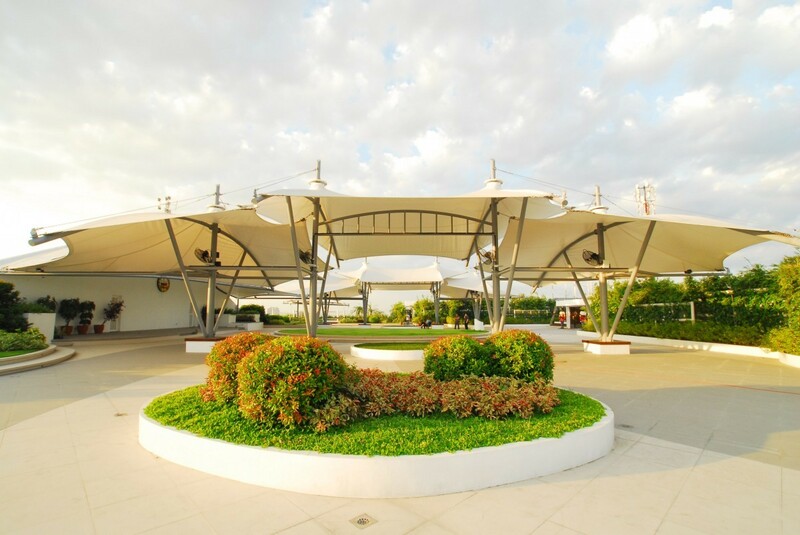 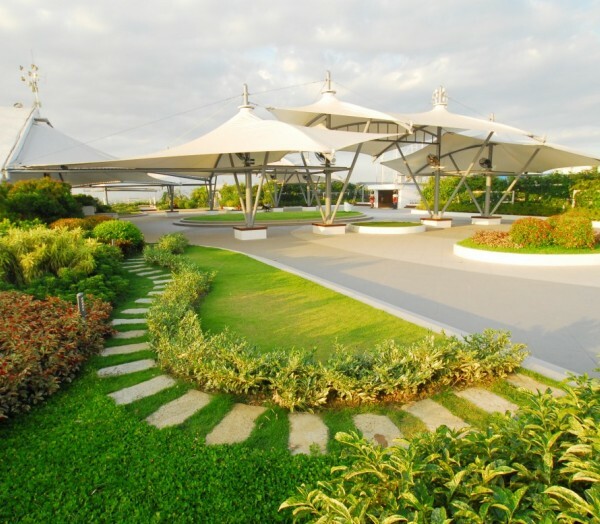 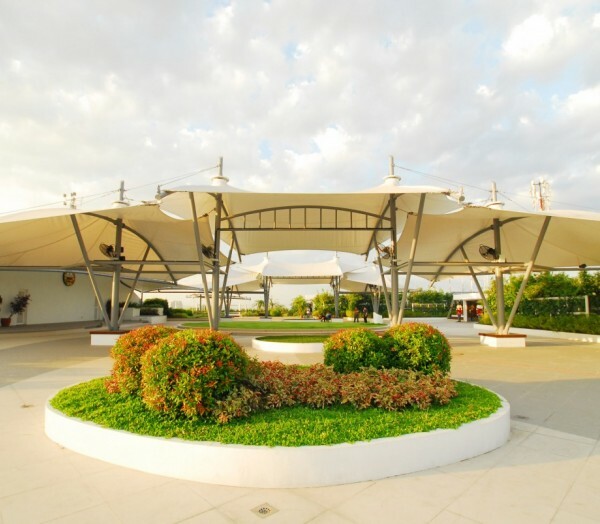 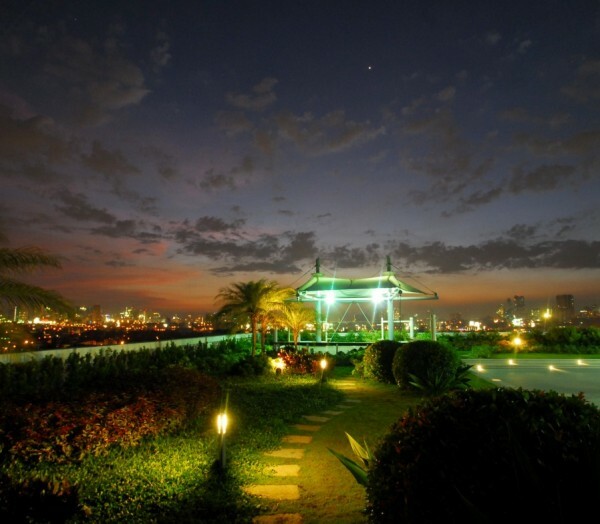 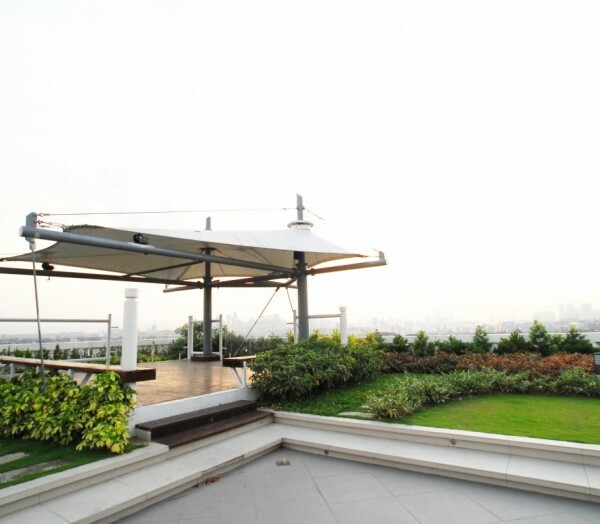 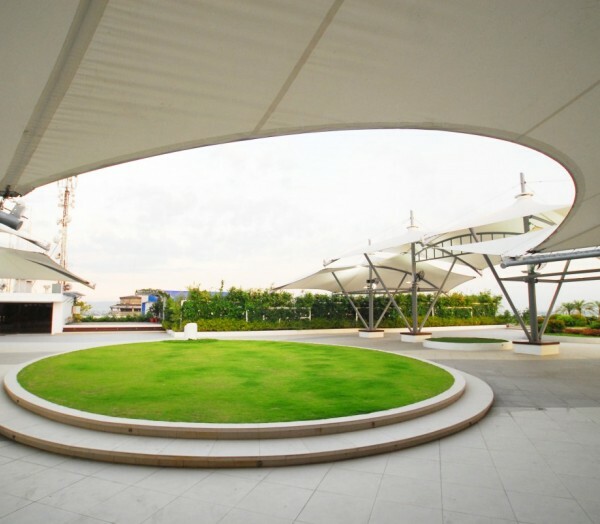 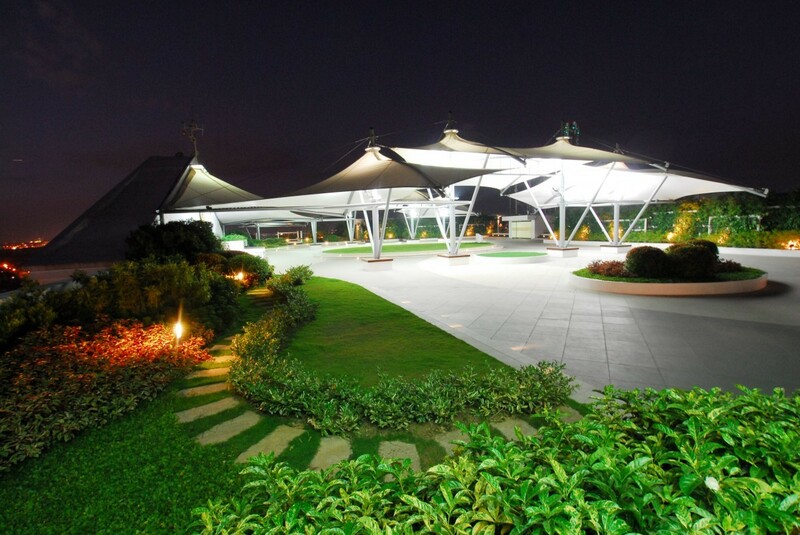 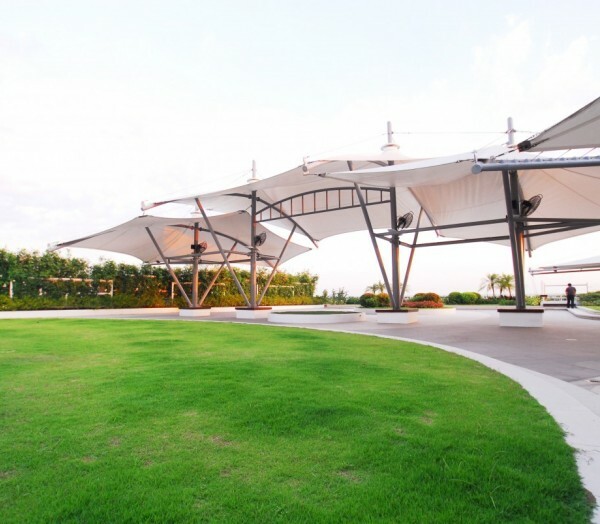 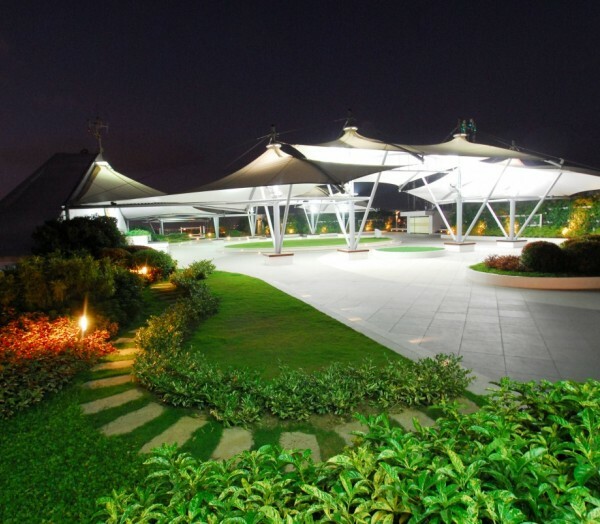 The Pasig Panorama Park was an under-used roof deck of the city hall building. 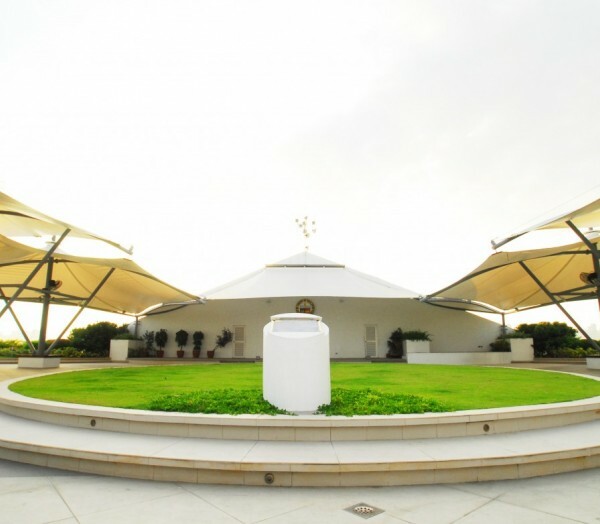 It had no shade or greenery and had ended up as a storage area. 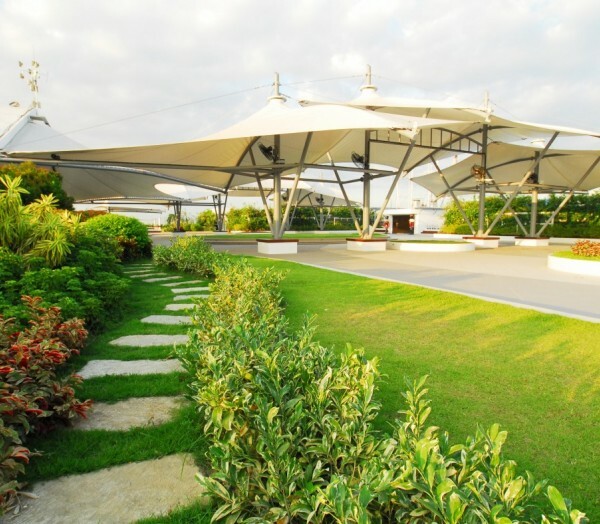 The Panorama Park provided a green roof that reduced air-con requirements for the floor underneath. 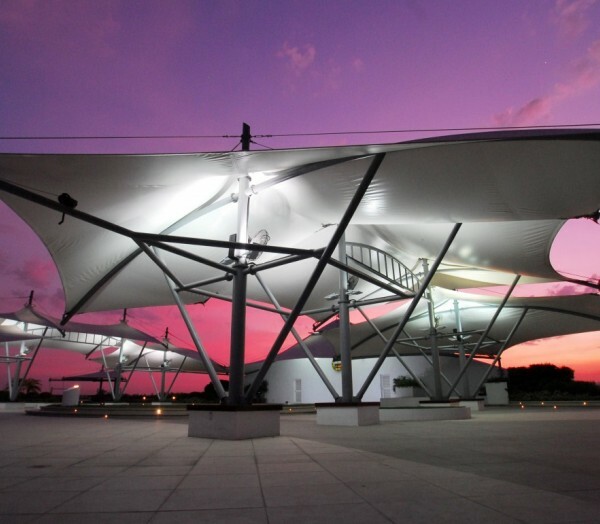 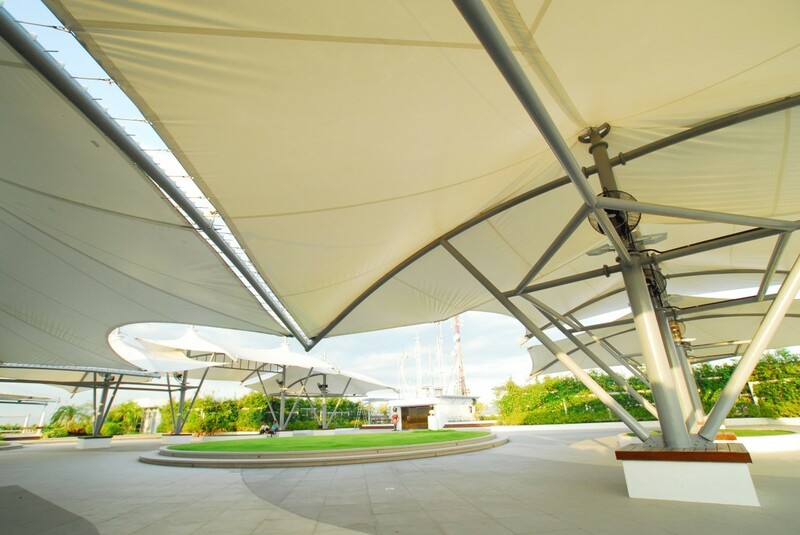 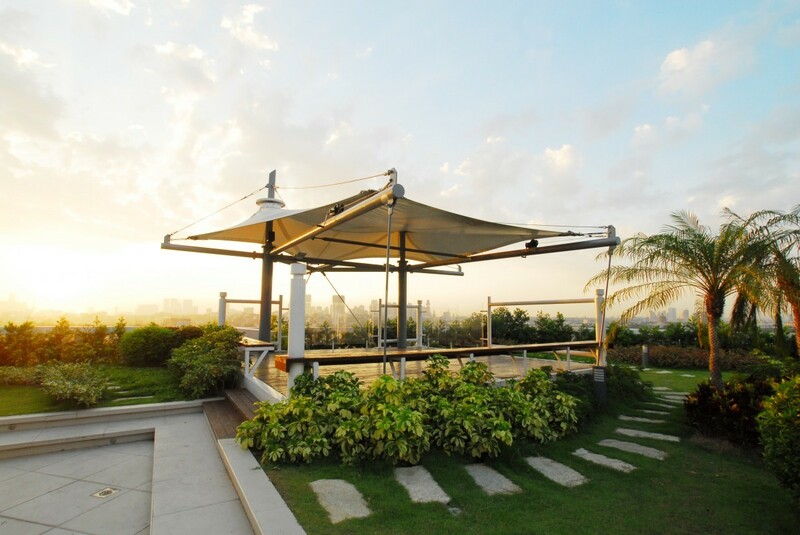 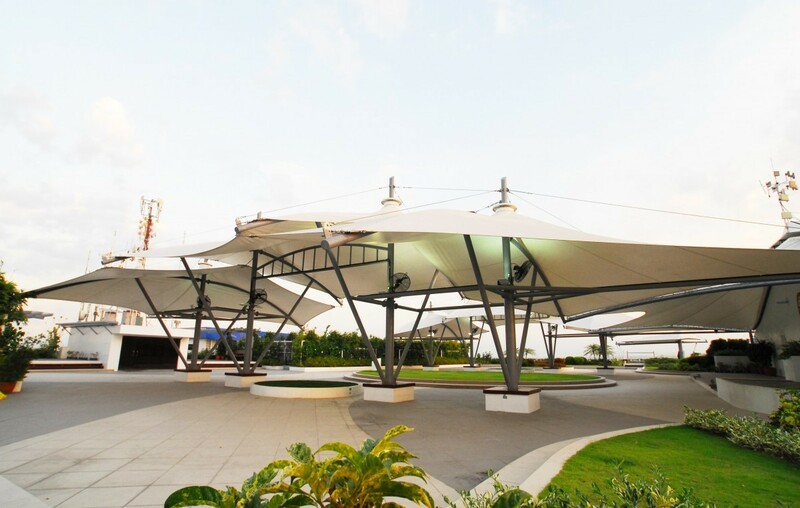 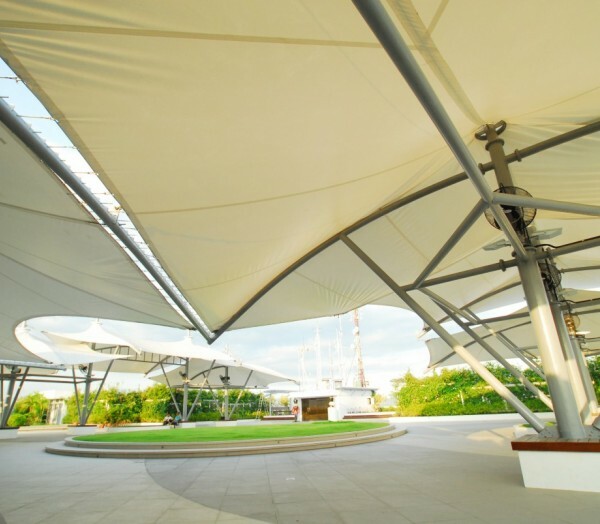 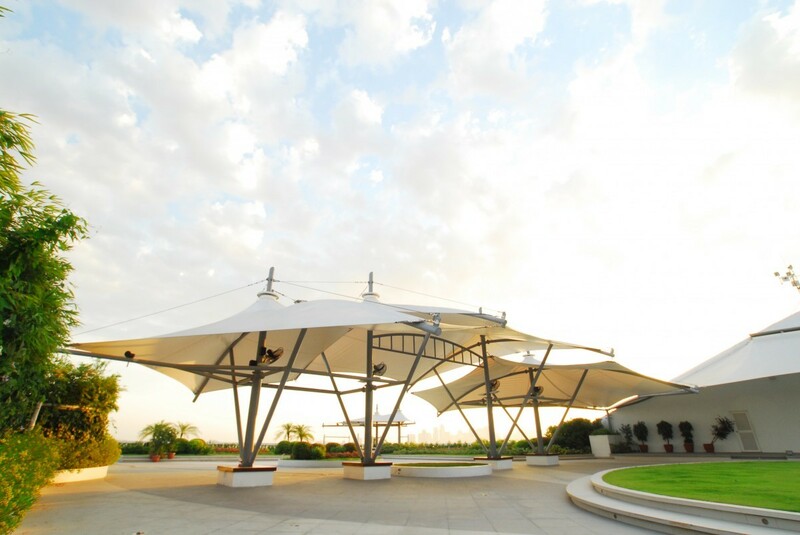 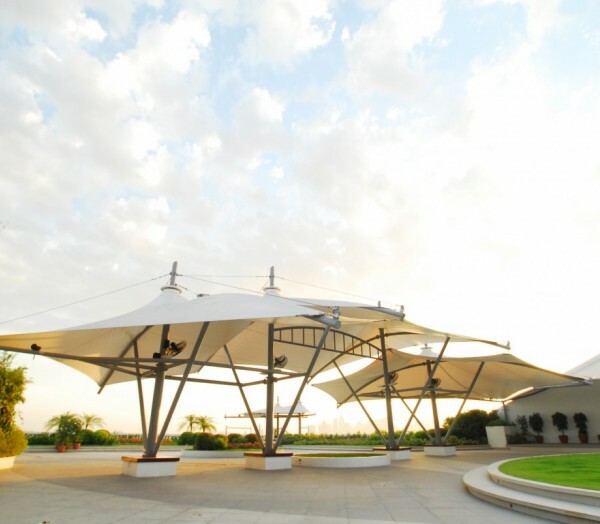 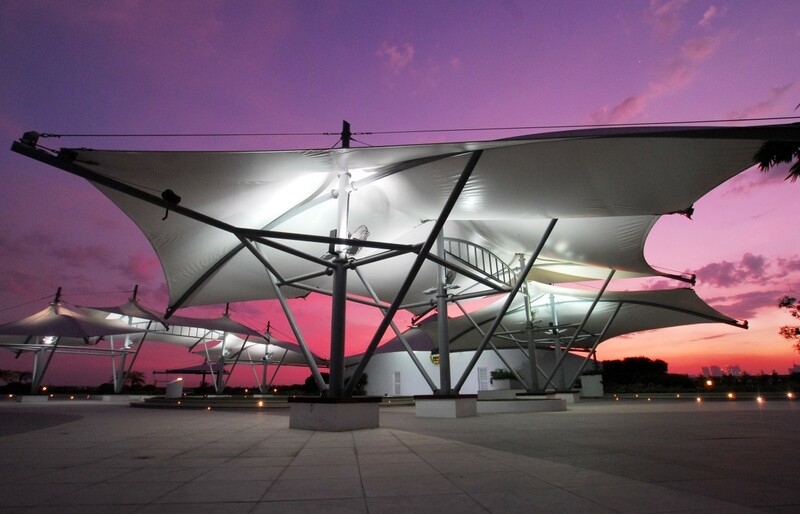 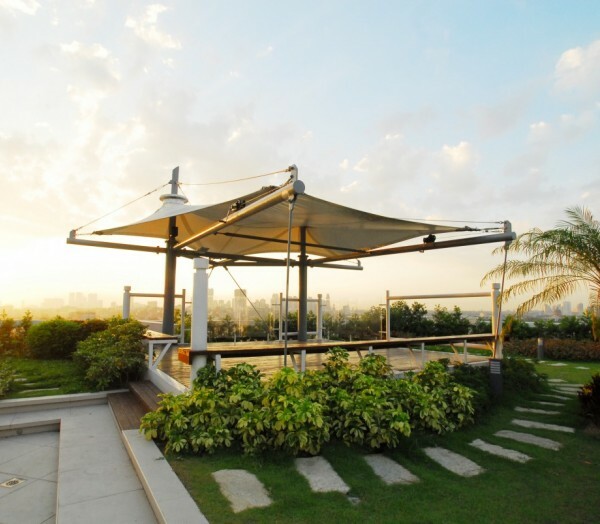 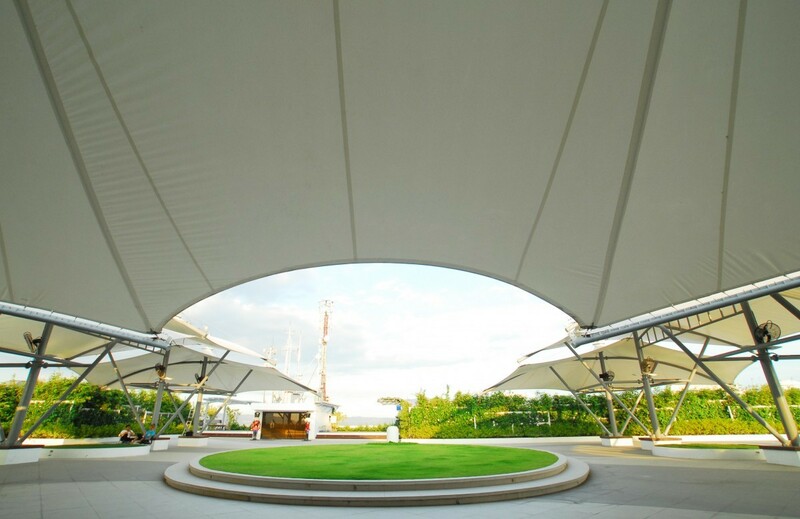 It provided shade with membrane roofs because of the constraints of the existing structure. 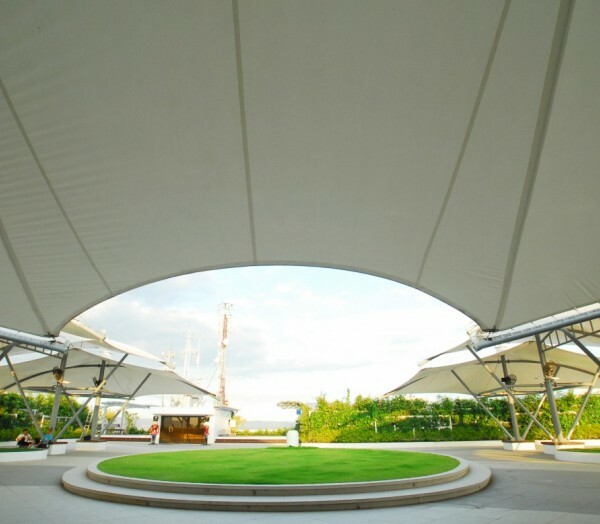 The Panorama Park is now used every month because of its attractiveness as a venue.